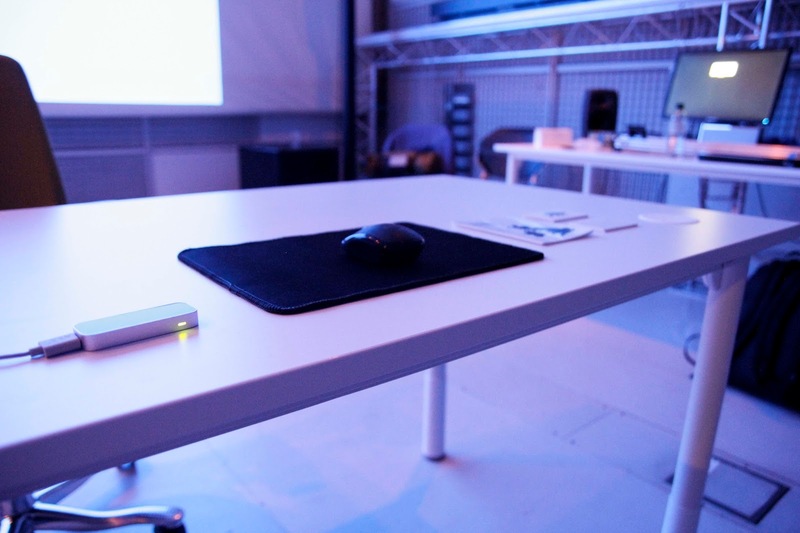 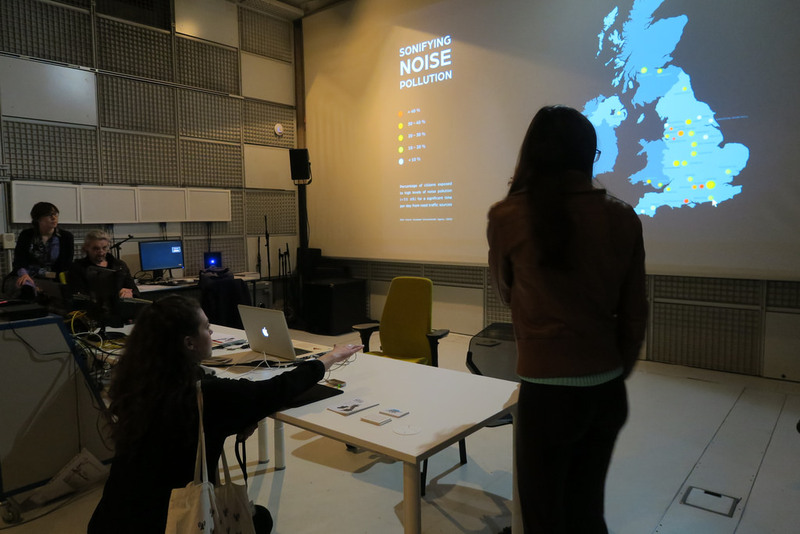 The IRCAM 2017 forum workshops were held at the IRCAM Centre in Paris between March 15th - March 17th, and included lots of interesting talks (including one on their fascinating new software The Snail) and hands-on workshops. 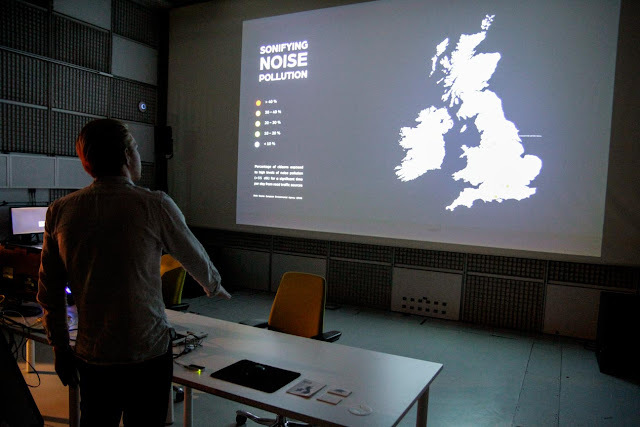 I've been further developing the Sonifying Noise Pollution project I've been working on for the last couple of months, together with RCM composer Lara Poe, and we presented our work along with some other projects from RCA and RCM students in Studio 5 during Thursday and Friday afternoon. 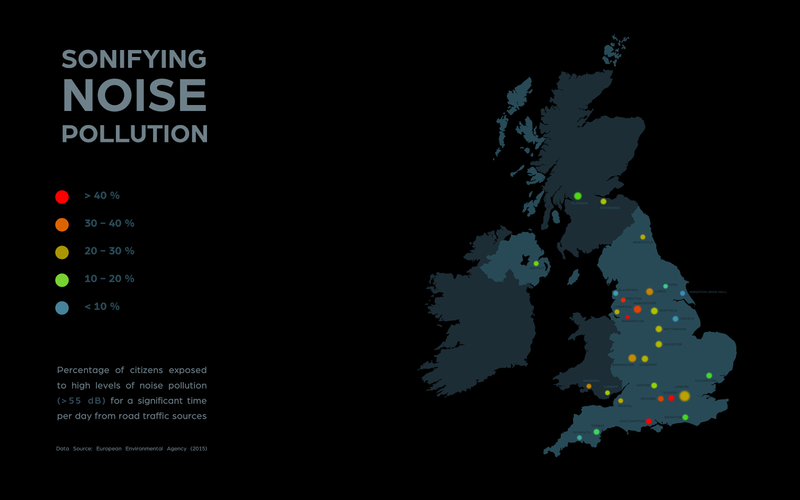 The public were able to navigate our sonified map using either a mouse or the Leap Motion controller, and discover which UK cities suffer from the highest amounts of noise pollution from road traffic sources, with each city having a unique soundscape created by Lara based on a series of field recordings.